Become a part of the Greenwood Public Library by purchasing a brick or bricks to commemorate a family member, friend, or in memory of a loved one. All donations will support the Imagine the Future campaign which will update aging areas of our facility and create relevant and beautiful spaces for our community. How much is a brick? Each brick is a $100 donation to the Friends of GPL. What can I put on the brick? Your brick can display up to 2 lines of text, with 14 characters per line. How can I be sure my text will be correct? 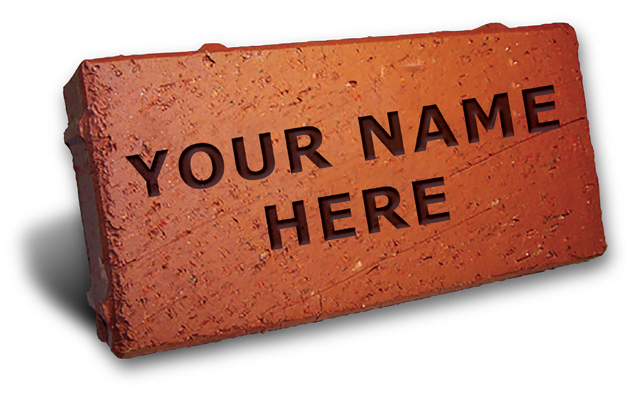 When you order a brick, we will send you a letter that includes a verificiation of the engraved text. How can I purchase a brick? Bricks can be purchased online by clicking here, or by completeing our paper form. Contact Jane Weisenbach by email or phone 317-881-1953. In Memory of Tom Jett, Jr.
Kappa, Kappa Kappa, Gwd Beta Assoc.